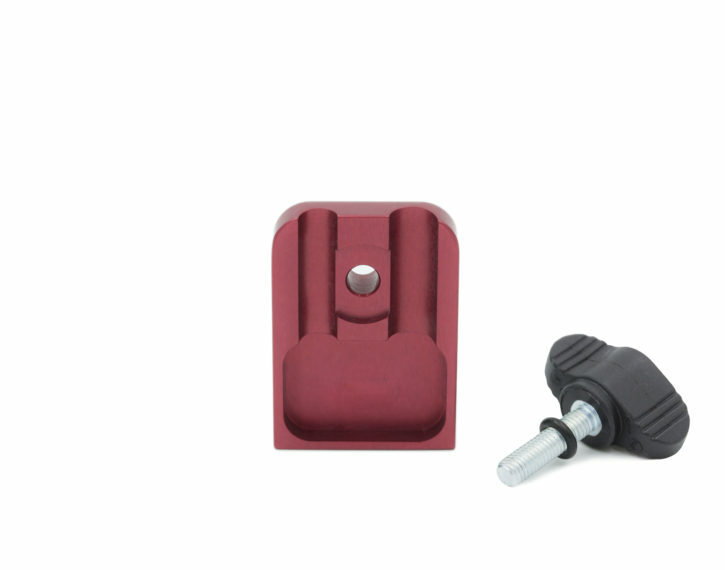 Replacement cover and wing screw for Wash-15 Offroad Whip Mount. If you lost your cover, fear not. We have you covered. Color matched to your current base unit. Keep on riding with no tools, no trimming, no time wasted on repairs. 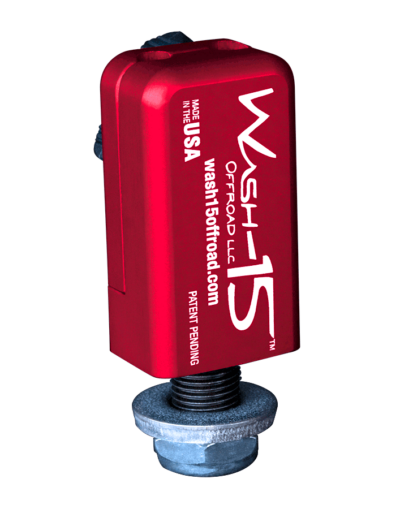 The Wash-15 Whip Mount secures both 1/4 inch and 5/16 inch diameter safety whips, even if severely damaged, via its patented clamping system. 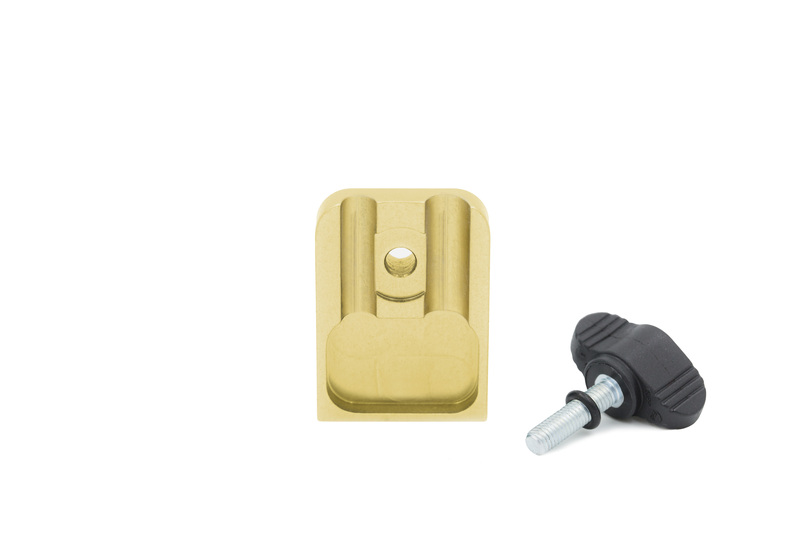 In only seconds, riders can unscrew the wing nut by hand, remove the mounting plate and insert the whip, then replace the mounting plate and tighten. A recessed interior easily accommodates frayed ends without cutting whips shorter and hassling with shattered fiberglass. With its dual-mounting option, riders can carry an extra whip in case a fellow rider breaks or loses their own. Those who happen to find an abandoned whip can mount it safely and easily, allowing them to recycle and save money while also keeping their riding areas clean of debris. Using a compact design of 3 inches x 1-1/8 inches x 7/8 inch, the Wash-15 Whip Mount can be secured to any vehicle with a standard 1/2 inch bolt hole. 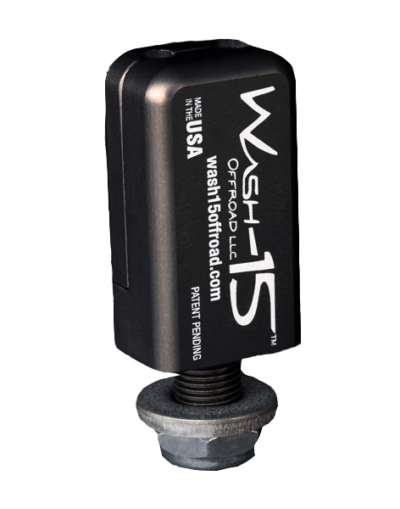 Proudly machined in the U.S.A. out of T6 6061 aircraft-grade billet aluminum, the Wash-15 Whip Mount is built to last for as long as you’re young enough to ride.